← Our piano has arrived! Lovely, mad Kathryn has said that Max can keep Floyd until Monday. That’s nearly 2 weeks in total. Which means that we’re going to have to clean the tank tomorrow!!! 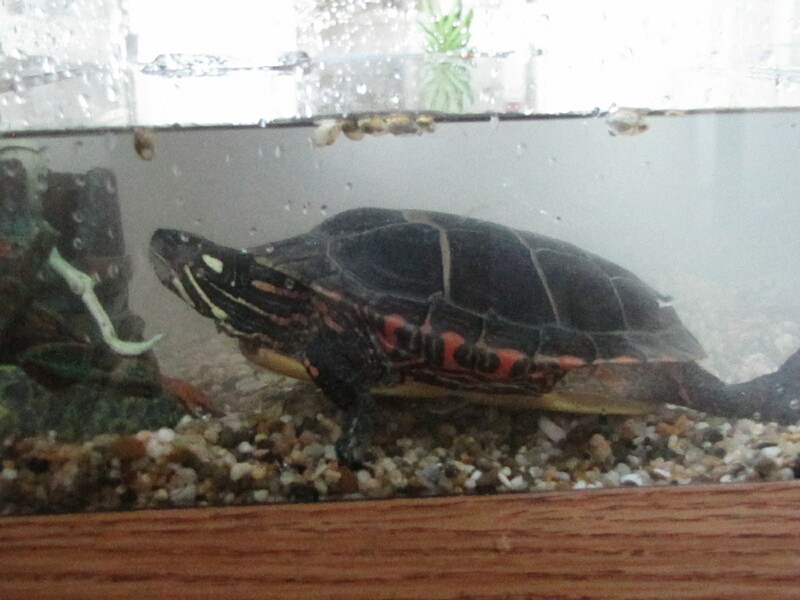 One week was just short enough to be able to avoid it, but he’s beginning to get a bit smelly. I don’t do smelly animals. Max is seriously chuffed. I’m horrified. Floyd a few days ago. If we'd taken a picture today, his water would have looked a tad more green. 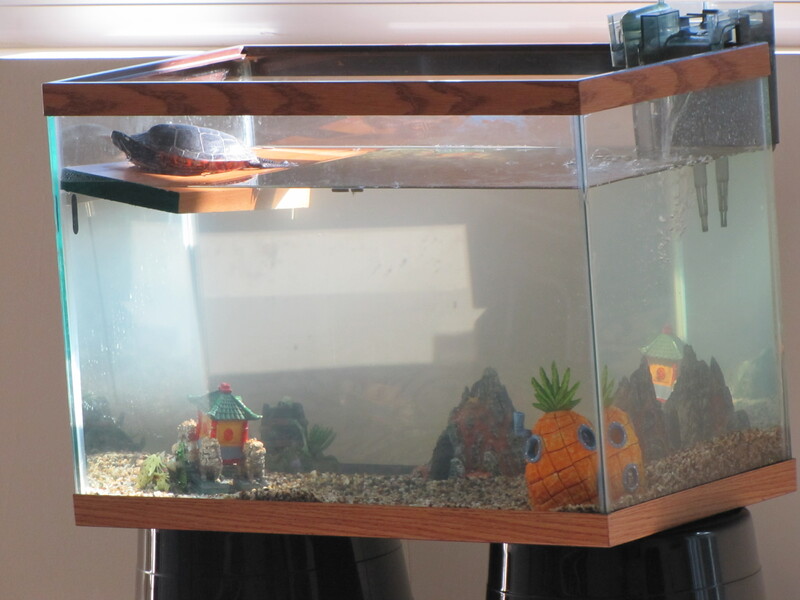 Floyd's tank looks a little bit precarious from this angle. That doesn't seem to prevent him from enjoying the sunshine.